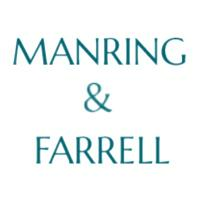 Since 1991, Manring & Farrell has represented over 15,000 clients throughout Ohio, assisting in successfully filing for Social Security Disability and Supplemental Security Income benefits. Our attorneys have devoted their entire practice to helping disabled individuals and their families, providing attentive representation and valuable legal guidance through each step of the claims process. Whether you are facing an initial filing or seeking an appeal to a claim that has been denied, we will put our combined 80 years' experience to work, helping you obtain the benefits you need. Our lawyers customize their approach to you and your specific situation, developing legal solutions and strategies to build a solid claim. We understand what the bureau looks for in reviewing these applications and will make sure that you have sufficient medical evidence, documentation, records and the appropriate forms to avoid any grounds for denial. Our attorneys travel with you to any hearings that you may be required to attend, offering additional guidance and representation. To schedule a free initial consultation to review your claim with a knowledgeable attorney, please contact our Columbus or Lebanon offices today at 614-678-7199 or toll free at 800-219-3505.